Hey there. You know, with Halloween and the holidays coming up, I found myself going online and getting stuffs more frequently. You want to know how much of that I paid out of pocket? Practically none of it. Why is that? Well, because I have an online job that is pretty damn awesome. I've been in the blogging game for well over 5 years now and throughout those 5 years, I have tried many things to find a way to provide my kids with what they deserve. I've been fortunate enough that I have been in the blogging game for over 5 years so I've been able to provide extras for them AND spend time with them. I know that there are many of you out there that do not have that luxury. Whether it be because you are a traveling salesman or you simply want to add a little extra income without having to get a 9 to 5 job. For those of you that are in those fields and want to stay home and spend more time with your families, you may want to think of finding extra ways of making some money. Accepting some online writing jobs may be just what you need. 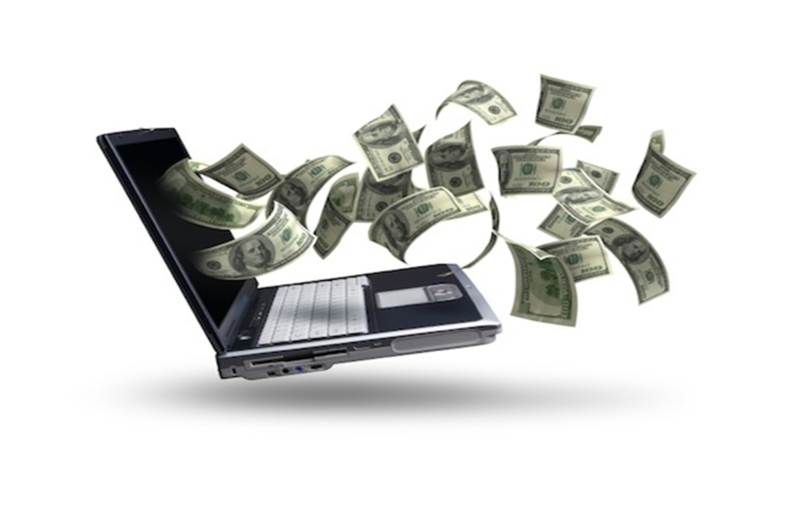 The best part about it is that there are countless possibilities for you make your fair share of money online and allow you to stay at home. Just look at what I was able to do with my website. Humor, parenting, technology, reviews, video games, movies, giveaways... you name it, it's probably in here somewhere. And because I have such a wide range of topics, I am free to write about practically anything. That freedom has provided me with opportunities... money making opportunities... money making opportunities that I will share with you guys looking to stay at home. So, if you are looking stay at home and are looking for ways to make some money on the side, then you need to check out these top online writing jobs that you can do at home. Reviews are easy. This is probably the easiest of all the online writer jobs you can do. Why? Well, because there is no wrong you can do. You are writing about your experience. You try out the products and then give your honest opinion about them. Write about the good and the bad. What works and what doesn't. Is it something that you would recommend to your friends? All of this is a great talking points for product reviews. You can see more than few reviews here just to get an idea of how I go about doing them. And the best part about reviews is that they can be about whatever you want them to be. Games, technology, TV shows, movies... whatever you want. If you do them well enough, companies may start sending you stuffs to review. Once that happens, you know you are doing a great job. So how does reviewing stuffs make you money? Well... in this instance, you may be paid with, well... stuffs. I specialize in games and technology, so I've gotten games and gadgets to review. In my opinion, it may not cash, but it's just as good. This one is how I started out. I just wrote about whatever was on my mind. I've gone through some of my early posts and you can clearly see how much I have developed as a writer and a blogger. But being a blogger requires a bit of work. Your website needs to be appealing. It needs to have great content. It's also best if you have a topic that you love to write about. The awesome thing about being an online blogger is that it allows you the freedom to write about what you love. And if you have a wide enough audience, you may just want to join some great site that offer sponsored posts. Sites to look into are SocialSpark and Blogdash for sponsored posts opportunities. These are great starting points to get your blog viewed by companies looking for bloggers. So how does blogging make you money? Sponsored posts and advertisements. You can sell ad spaces, text links, and sponsored posts. Payment usually depends on how well your website does. If it is has high viewership and a good Google PR, you'll have more exposure and you can ask for more than a few bucks for each ad or post sold. This one is for the ones that love social media. Facebook, Twitter, Google +... and countless other social media outlets are a big deal to a lot of people. Pictures via Instagram, videos via Vine, anything via YouTube. The world is open to your interpretation. You can do a video game walkthrough or a how to do it video on YouTube. You can showcase your crafts on Pinterest. You can go viral on Vine. The more you do, the more chances there are of you making it big via social media. I'll admit, this is not for everyone. You need to be more than dedicated to your craft in order to make it big, but those that do have a HUGE following. So how can being a social media guru make you money? Endorsements... sponsorships, and advertisements. This all depends on your popularity. Just take a look at YouTube sensation, PewDiePie. He has over 14 million YouTube subscribers with the videos with millions of viewers. You see those ads on those videos? That's all moneys that PewDiePie is making. And let's not forget that there are several other programs that will help monetize Twitter and other social media outlets. Programs like those offered by SponsoredTweets are helpful to those of us that do not have millions of followers. Again, the more popular, the more viewers, the more followers will determine how much you can make from the social media outlets. Parenting is hard. Kids to do not come with instruction books. This is a growing niche in blogging that many parents looking to stay at home are beginning to make their own. Let's face it, many of us need help with our kids and I'm pretty sure that if you have a question about your kids, you're going to look online for the answer. Parenting blogs are quite the popular bunch and any information that you can provide in regards to kids' sicknesses, schooling, discipline, etc. etc., is extremely valuable to parents that are looking for answers. Anything from a home remedy that you know works to how to deal with a problem child, the more you can share with the world, the more you will be helping a parent looking for answers. Mommy and Daddy blogs are a huge in the online community and providing any insight whatever will be welcomed by many. So how can writing about parenting tips make you money? Kids... kids... kids... It's all about the kids here. There are many affiliate programs that you can take part in that will allow you to monetize your blog posts. If you write about an awesome toy that you got your kid and monetize your post, any sale that is made from your side will bring in money for you. Kids toys, kid's meds, kid's clothes, kid's furniture... practically anything and the kitchen sink can be sold through a well written post. And if you are a part of any sponsored blog post programs, you can be paid to write about products for kids. Now, there are many more writing jobs you can do online that will allow you to stay at home and spend more time with your family. You are not limited to the 4 that are mentioned above but these are definitely the easiest ones to get started on. With a little know how, hard work, and perseverance, you can be on your way to making a few extra bucks online. It may not be much at first but you cannot get discouraged. It took me a few years before I managed to earn $1,000 in a year from online jobs. Yup, I incorporate the above three. Last year, I managed to break the $2,000 mark. Pretty awesome, no? Next March, I enter my 6th year of being an online entity. Hard work and dedication I tell ya. Keep at it and don't give up when things don't go your way at first. It takes time to build an audience so don't get discouraged. I've been fortunate to have started doing what I do and find online friends that share the same passion as I. I've followed these friends through the years and even though some are doing better than I, it only reminds me that I need to work harder to reach their heights. Good luck, friends! Later! In my point of view, Writing Online articles for moneyis the good way.